60KHz 6Quart Ultrasonic with Drain and Frequency Sweep by Vibrato, LLC. Our popular 6 Quart, 60khz Ultrasonic Cleaner has returned, in the new, more durable, slimmer, more professional Aluminum Enclosure! Featuring 6- 35watt 60khz Transducers, 120Watt Heater, Manual Drain and Digital Thermostat with 0-99 Minute Countdown Timer. Plus the NEW "TREMOLO Multizone Frequency Sweep" feature added !!! With the flip of a switch, the microprocessor controlled Tremolo Frequency Sweep will randomly vary the frequency over a narrow range -on the left, right and center of the Tank- helping to prevent "Standing Waves" and spread the cavitation evenly throughout the tank! (Frequency Sweep is a desired feature to prevent damage to delicate items). Standard imported 40khz Ultrasonic Cleaners DO NOT always perform as expected. Reliability is hit or miss! Our Ultrasonic Cleaners are made here in the United States, by us, with our proprietary circuit boards and professional service! The higher frequency produced by the 60khz transducers creates powerful and prevalent cavitation bubbles that form, then implode, creating shock-waves which removes debris from the record grooves. Our proprietary Vibrato Ultrasonic Generators are tuned and calibrated to the resonant frequency of the transducers being used. 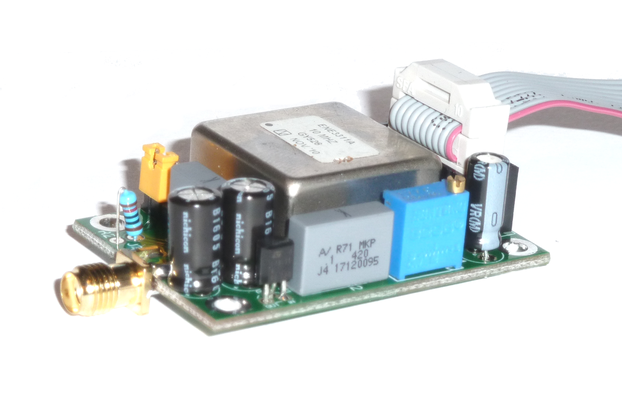 Our NEW "Tremolo" Multizone Frequency Sweep circuit provides additional protection for delicate items. 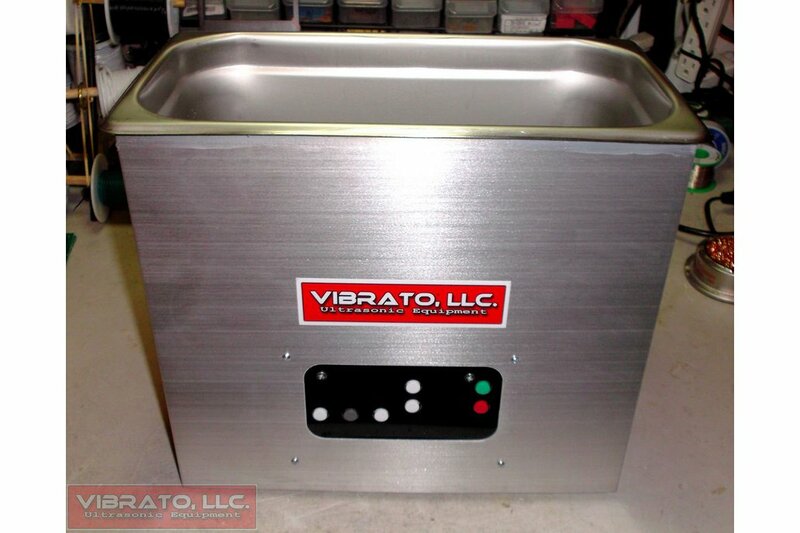 We also make the even Higher Frequency 80khz Ultrasonic Cleaners in a 6 Quart and 10 Quart (with drain) sizes!